By winning only the U.S. Open in 2008 and dropping his No. 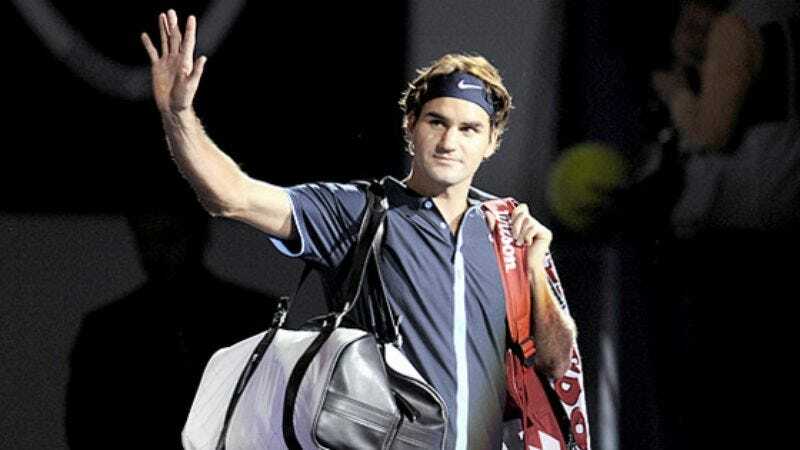 1 ranking for the first time in four years, 13-time major champion Roger Federer demonstrated to sports fans worldwide that he is actually an awful tennis player and utterly incapable of winning every single tournament in which he participates. "After he convincingly won five straight Wimbledons, and three majors apiece in 2004, 2006, and 2007, I thought he was actually a passable player. However, it turns out that was all a fluke and he is terrible," Boston Globe columnist Bud Collins wrote last July after Federer finished an execrable second at Wimbledon. "I would rather saw off my own leg than have to watch Roger Federer play what he calls 'tennis.'" Federer's year was made worse when, after being unable to defeat Novak Djokovic in straight sets during their U.S. Open semifinals match, professional golfer Tiger Woods called Federer and ended their friendship.